October 4th is considered as World Animal Day . World Animal Day is an international day of action for animal rights and welfare celebrated annually. 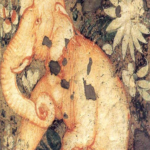 So today let us see how animals have been an integral part of Indian art. India is a land that comprises of vast mountains, planes, tropical forests, rivers, seas, deserts etc and it is no wonder that nature has created a deep impression on it’s inhabitants from a very early age. And this is prominently manifested through art, literature and in the thought. The people depicted animals in their art and made jewelry and clothing using animal products. 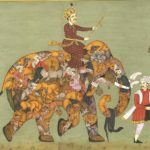 Indian artists have always depicted animals in imaginative ways. Animals are sometime shown as friends, sometimes through heroic acts and sometimes inspiring humans with their good deeds. Indian thought is quite scientific when it enumerates the process of creation. The first four incarnations of Vishnu, the Lord of creation Matsya (fish), Koorma (tortoise), Varaha (boar), Narasimha (semi human-semi lion) indicate the earliest thinking of process of evolution as accepted by Science today. 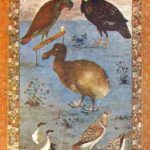 In Indus Valley Civilization birds and animals were depicted in various ways. They are in different media and contexts and are in very large number such as metal figurines, semi-precious stone figurines, painting on pottery, seal engravings, amulets and beads. 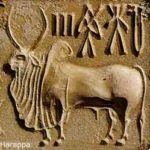 Almost all variety of fauna was depicted in Indus valley art e.g. Bull, elephant, tiger, rhinoceros, bison, monkey, peacock etc. 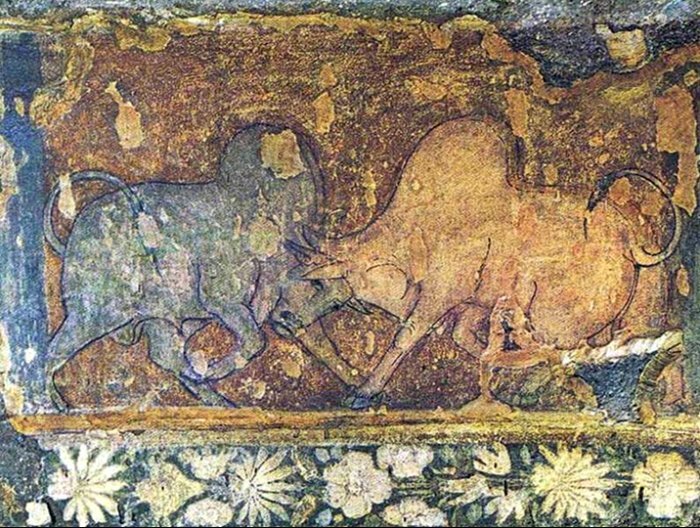 In Megalithic period art we have depiction of elephant, bull, rhinoceros etc. Their medium of depiction is terracotta, metal and painting on pottery. Before Mauryan period animals and birds are depicted on punch marked and tribal coins. Indian art also includes depictions of animals which are made up of human figures or other elements from throughout nature – called Composite Animals. These images invert the normal Indian approach to interpreting form. 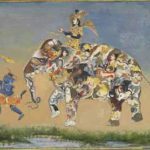 These composites, made up of disparate elements (animal, human, demon, and so on) are found in India from the early Mughal period onward, giving rise to the Mughal label. 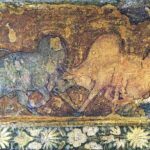 The painters of the Mughal composites are able to invent composite animals which may startle us at first, but on close inspection seem so entirely natural. This sheer naturalness of many of these paintings is even more striking than the individual elements. The playfulness inherent in these paintings may mask some deep intent, but at the same time this playfulness is enough to keep our interest and inspire our admiration. The bird and animal motifs have been used in Indian Art in two different contexts. In Fine Arts, like painting, architecture and sculpture, etc. the birds and animals have deeper meanings. For example, the figures of birds and animals carved on the high spires of Hindu temples, which represent the lofty peaks of the holy mountain, Kailash, are the heavenly creatures. They are the mounts of Hindu gods and goddesses, endowed with divine qualities. Yet, the same birds and animals, when employed in decorative arts, reflect the worldly environment. They are purely decorative in character, devoid of any ideated meaning.